SEM Insights » Voice of Customer – Listen, Change and Win! Voice of Customer – Listen, Change and Win! One of my fantastically (scarily really) talented colleagues, Lance Jones, presented at eMetrics in San Jose yesterday. The topic covered was how VOC (voice of customer) changed the Intuit QuickTax home page for the better during the last few weeks of our Canadian tax season. 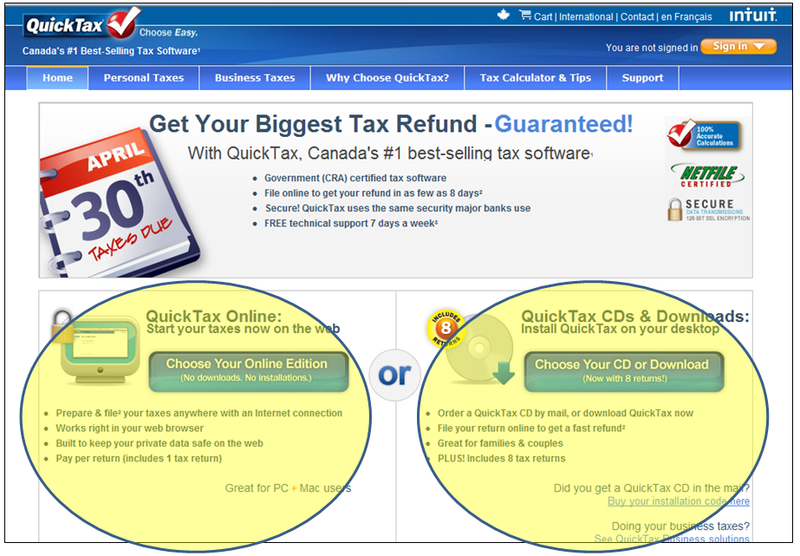 QuickTax is the Canadian version of TurboTax just if you were wondering, so the site gets MASSIVE traffic over tax season. The process that this went through consists of far more than I can do justice to here, but I wanted to share some really cool learnings with you all. 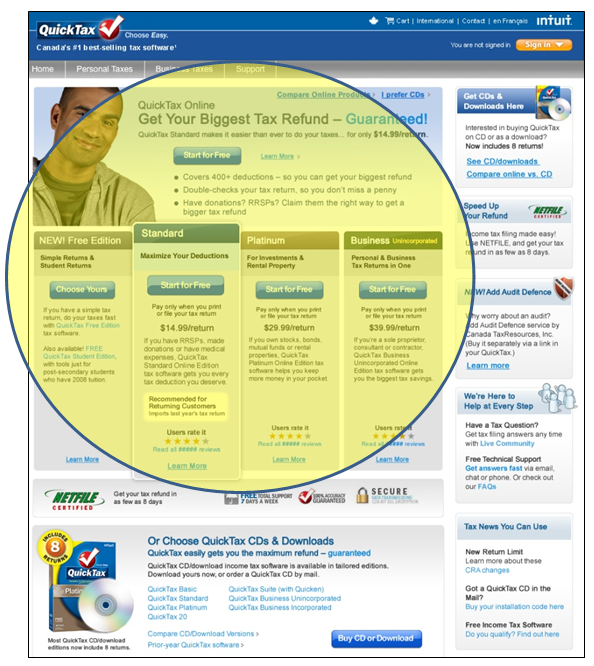 First: If you have a home page, don’t be unwilling to change it if the VOC warrants such a change. Second: Make sure you listen to your customers. This can take the form of customer reviews, feedback through the socnets, usability studies and numerous other forms. Your budget and existing level of engagement may dictate your initial approach. Third: Don’t keep changing your home page willy-nilly as that will confuse your users, and if you do change it, make sure you keep your primary brand message as consistent as possible. Fifth: Facilitate their optimal engagement path, leading to a more streamlined and facilitated conversion path. The new design achieved what it set out to do for desktop sales increasing them by 17% with immediate effect, with no negative impact on online sales. Follow QuickTax and me 🙂 on Twitter! Disclaimer: nothing I say here may or should be attached to any employer, current or previous. This is my personal blog. The views expressed on this page are mine alone and not those of my employer. No Comments so far... perhaps you would like to leave one?